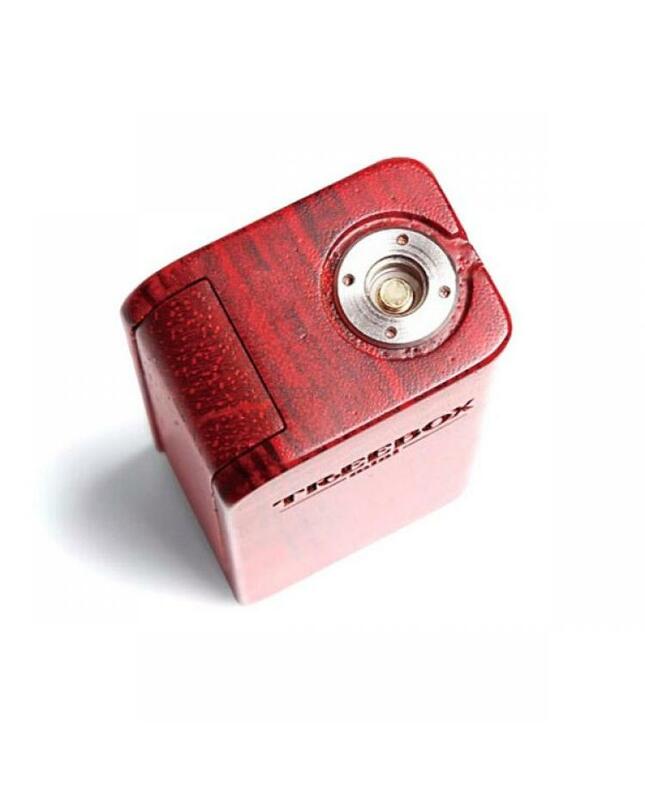 The Smok Treebox 75W Temp Control Box Mod made of 100% Brazilian zebrawood, with better hand feeling, powered by single 18650 battery and max output 75watts, variable wattage from 1w to 75w, support resistance as low as 0.06ohm under temp control mode, max support 3.0ohm under VW mode, it features a high-frequency dynamic monitoring resistance technology, where it can detect the atomizer's resistance every 250 microseconds, the spring-loaded center pin self-adjusting to most of 510 atomizers. 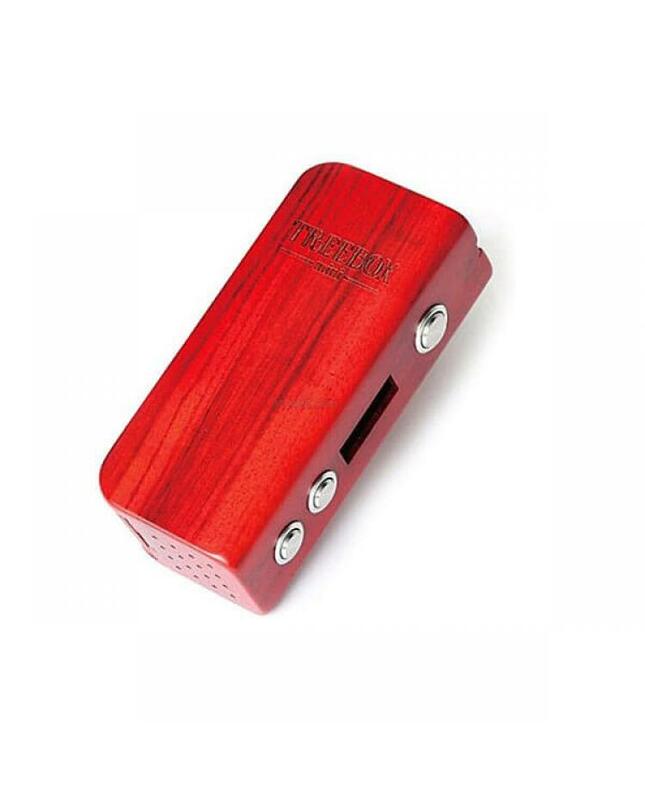 the smoktech wooden box mod with magnetic battery side cover, convenient to replace the battery. recommend work with smok TFV4 tank, smok TCT tank, uwell crown tank etc. 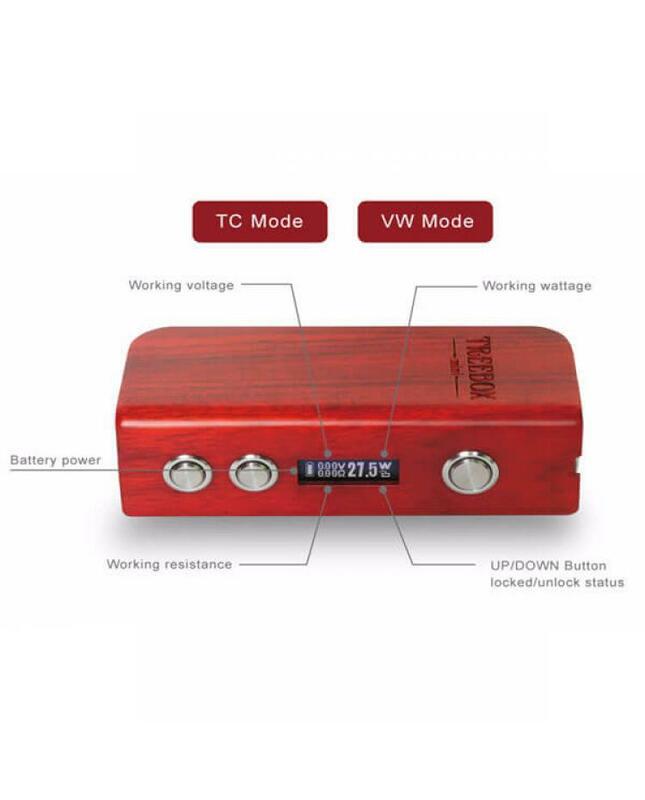 Under temp mode, treebox can recognize your coil made of nickel 200 and titanium. be careful to only attach new atomizer that has cooled to room temperature to the mod. 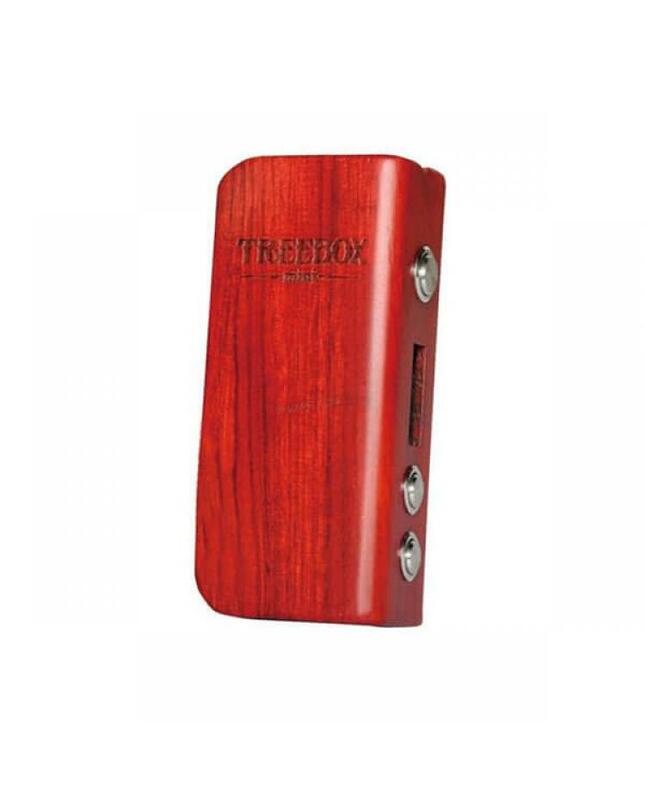 when using a new atomizer or connect your existing atomizer under temp mod, the treebox will prompt "new coil up same down" to allow vaper to confirm the change. 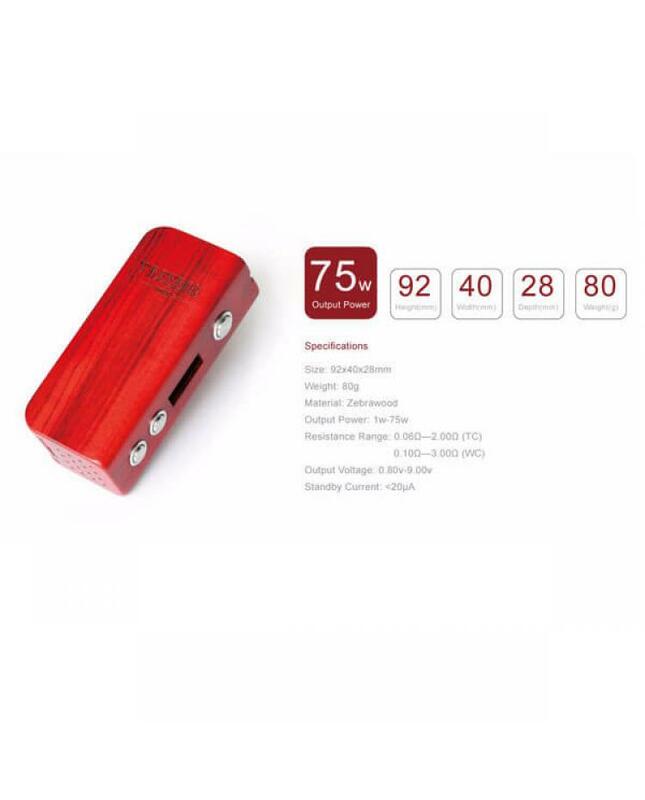 the OLED screen and three stainless steel buttons to operate the wood box mod conveniently. 1)users need to pay attention to Li-ion cells when vaping. the batteries very sensitive to charging characteristics and may explode or burn if mishandled. so vapers must have enough knowledge of Li-ion batteries in charging, discharging and assembly before use. please use the fire-proof surface battery charger, never leave a charging battery unattended. we will not responsible for damage for the human reason or mishandling of Li-ion batteries and chargers.the device always recommends work with rechargeable lithium-ion IMR batteries with min output current 20A or higher. 2) Smokstore will not responsible or liable for any injury, damage, defect, permanent or temporary that may be caused by the improper use of Li-ion battery, coils, tanks, mods etc. please have a basic knowledge of batteries. welcome to contact us anytime to get help.